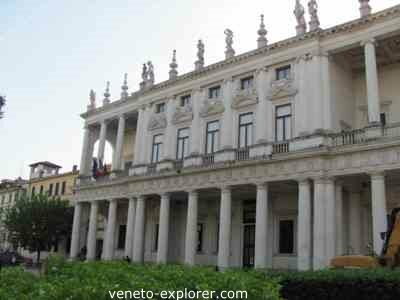 The Palladio architecture has left a big heritage in all of Veneto(Italy), in its countryside and towns, especially in the city of Vicenza . It is not by accident that this ancient town is called La città del Palladio – the city of Palladio - and it is considered the Italian capital of architecture. Every corner of the town is full with Palladian character. 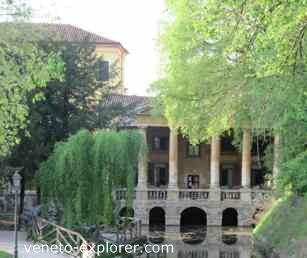 The well known villa La Rotonda itself - universally recognized as a masterpiece of the Palladio architecture - is in Vicenza, but it is out of the historic center and it can hardly be reached by foot starting from the town center. Here below I’ll suggest an itinerary - allow about 2 hours walk- to be followed only in the pedestrian historic town, in search of buildings designed by the celebre architect of the 1500’s, whose style and theoretical works has strongly influenced the architectural rules worldwide: its work I 4 Libri dell’Architettura is still studied in many architectural courses nowadays. All of these buildings are listed in the Unesco World Heritage List. It is located in the Giardino Salvi (Salvi Garden), a few steps before Porta Castello, the medieval gate to the historic town. Scholars are not sure the 6 columns Loggia has been planned by Palladio itself: however it features a genuine Palladian style, thus in 1994 Unesco decided to ascribe it to the Padua born architect. 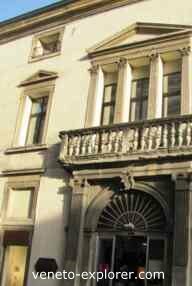 At the beginning of Corso Palladio, bordering Piazza Castello, lies Palazzo Capra, whose facade is thought to be one of the first Palladian works. Unfortunately the original plant of the bulding was altered in the 1700’s. Today it hosts a big store. 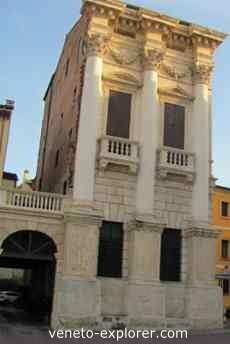 In Piazza Castello stands this other example of Palladio architecture. The palace is unfinished: instead of the two intercolumns that are visible today, Palladio has originally planned seven of them. The result is a three columns palace with a characteristic slender shape. Walk forward to Piazza Duomo (Cathedral square). 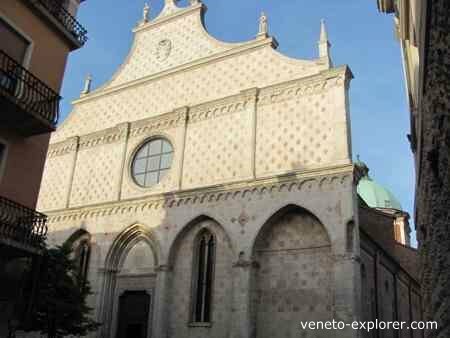 The cathedral was built in the 1300’s, incorporating previous churches dating back up to 700 years before, while the dome and the portal, which replaced a gothic one, were designed by Palladio in mid 1500’s. 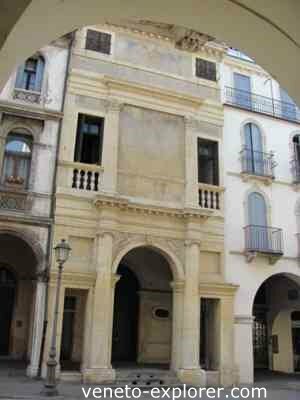 Continue on and at the corner of Corso Palladio – the main pedestrian way of the historic town - lined with stores and cafès - you’ll see this mid 1500’s palace, whose signed design is preserved at the Royal Institut of British Architects (R.I.B.A.) in London. In Corso Palladio at n. 16 rises this palace with its slender facade, commissioned to Palladio by Alvise Valmarana. Noteworthy is also the portico on the yard. Today the palazzo hosts exhibits and conventions. 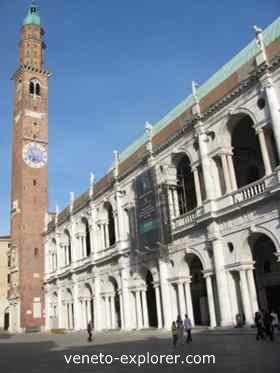 Walk forward up to the elegant Piazza de Signori, the main square of Vicenza. The Loggia, overlooking the square, is another example of splendid Palladio architecture. However, 4 huge columns made in Histrian stone prove that this work is unfinished and that the architect plan was to make a much bigger building. The Loggia was raised to celebrate the victory in the Battle of Lepanto (1571), in which a coalition of christian powers - among which the Republic of Venice – defeated the Ottoman Empire. The Loggia is characterized by red bricks and white stone. 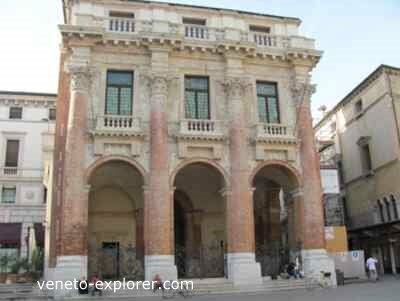 It is one of the main symbols both of the Palladio architecture and Vicenza. It overlooks Piazza dei Signori. The original building dates back to the 1400’s, when it was called Palazzo della Ragione. In the mid 1500’s Palladio was commissioned to dramatically restore the palace by incorporating the already existing building. The result is an imposing and elegant palace made with white marble and characterized by an interesting play of light and shadow. The keel-shaped copper roof was badly damaged by second world war bombings, but it was later restored. This imposing palace, which lies on a side road of Corso Palladio, hosts the Centro Internazionale di Studi di Architettura dedicated to Andrea Palladio. Beside boasting an elegant facade, it is embellished inside by decorations, frescoes and stuccos. 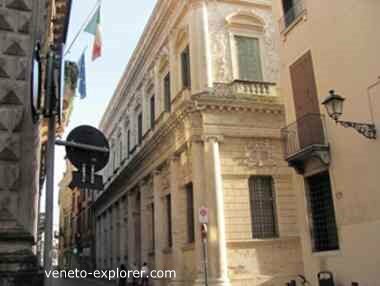 Continue forward along the beautiful Contrà Porti enriched with both gothic and Renaissance buildings, and you’ll see this elegant Palladian palace. 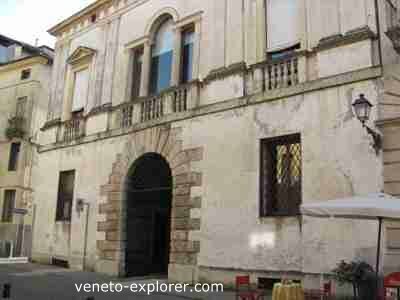 This beautiful palace, ascribed to the young Palladio, is located in front of the Dominican monastery of Santa Corona, in a side road of Corso Palladio. Go back to Corso Palladio. At its end, just a few steps before Piazza Matteotti, there is this small but elegant house, wrongly believed to be the celebre architect’s house. 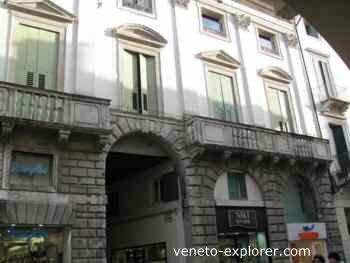 In the nearby Piazza Matteotti stands this worlwide celebre example of Palladio architecture. Its strong point is the impressive interior, with its wooden stage decorated with stuccos. It is worth seeing for its stunning trompe l’oeil effect , giving the feeling of perspective and strong depht. Almost in front of the Teatro Olimpico, just at the end of Corso Palladio, lies this majestic palace: in the Palladio’s vision it had to represent a town palace and a country villa at the same time. 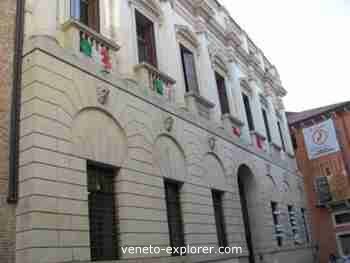 Nowadays it is seat of the Vicenza Town Museum.